Part one of the episode is from Alison’s perspective, as she anxiously waits for Ben to arrive. When he shows up, Alison does her best to keep the conversation going and explains that she has some things she wants to address with Ben. Before she can get a chance, Ben reveals to Alison that he is married and that he has just left his wife. Alison explains that she already knew this information and that she is “done being a woman you lie to your wife about.” After all, Alison has already lived through this before and she knows that “it doesn’t end well.” Ben opens up to Alison and tells her about his time as a soldier in Afghanistan and how he killed a kid by mistake, which has left him with a never-ending hole of guilt, weighing down on his conscience constantly. He explains that he was not the same person when he returned and this impacted everything, including his marriage. Alison compassionately listens to him, understanding what it means to walk around with that pain every day. Ben agrees to fix Alison’s sink even after she tells him she can’t see him anymore and then she agrees to make him dinner. It seems like their break-up is amenable and I instantly began to question everything since we know that this is not the story that Ben told Cole and Noah. Ben asks Alison to dance with him and Alison asks him, “What happens to us? The ones who can’t be forgiven.” Ben answers that he wants to live and the two share a kiss. He asks Alison what she wants and she gives in to Ben and begins kissing him back. This leads to them making love and it seems like everything is perfect between them now. Only it’s too perfect and now we know why. Alison is cleaning up in the kitchen and hears a knock at the door. The rain is still pouring outside and she looks down at the sink, which is now broken again. When she opens the door, Ben is standing there and part two from Alison’s perspective begins. One of the reasons why I adore this show so much is because we get to see things from different perspectives. Usually each story has its own version or variation of the truth, but we ultimately get to peek into the hearts and minds of our favorite characters. When part two opened up with Alison again, I realized that the first part was merely a dream or a fantasy of what could be. Reality was now at the door and I was on the edge of my seat, fearing for the worst. When Alison tells Ben she needs to talk to him, he is no longer kind and gentle like in the first part. He tells her never to stand him up again and is clearly angry and on edge. Ben begins drinking when he tells Alison about his time in Afghanistan, which now reveals that Ben knew that the kid he killed was not holding a real weapon. Alison tries to ask him why he would do this and his anger begins to escalate even further. We know that Ben has a problem with drinking and his behavior begins to become erratic. He breaks down when Alison tells him to leave and cries in her lap and begs her to be with him. Alison has had enough; however, and is ready to embrace the strong woman within. She tells Ben she knows that he is married and it’s like a new darkness comes over Ben. He is now suddenly calmer, but the danger is nowhere near gone. He tells Alison that she better not tell his wife, threatening her. Alison tells him that she won’t if he leaves and he turns everything around on her. Ben tells Alison that she broke up other marriages and that he will only leave if she admits that this is her fault. Alison stays strong and tells Ben, “I don’t owe you a thing.” While I was so proud of Alison in this moment, I feared what would happen next. Ben attacks Alison and hits her over the head. As the blood rushes down on Alison’s face, her life began pouring out of her. While I was hoping to be wrong about Ben, the reality of him being Alison’s murderer became painfully obvious when I realized that there were no other characters in this episode at the beginning of part two. At the end of the episode, we see Ben dumping Alison’s body into the ocean by the rocks. Alison’s last monologue is heard, which is beyond heartbreaking. Alison talks about wanting to live a different life or story so that she could be someone who could be happy. She took Helen’s advice and finally tried to be strong and stand up for herself, but Ben refused to allow her the chance at a fresh start. We see Alison’s body sinking to the bottom of the ocean, as this life is over for her. In this moment, I wanted nothing more for Alison than for her to get another chance. She has been through so much loss and pain along the way and it seems beyond unfair that her story ends just when she was starting to fight for the spark of life that had been trapped away for so long. This episode was compelling and dark, revealing the ugliness that can lurk beneath the surface. Alison was not perfect and she was completely aware of this, but she didn’t deserve what happened to her and I am hoping that Cole gets the chance to bring Ben to justice. While Alison’s story may be over, Cole’s love for her will not burn out, keeping her memory alive. Farewell Alison. You deserved better. Stay tuned! I hope you enjoyed the list and feel free to post your own theories and thoughts on The Affair below in the comments section. Thanks so much for reading and happy viewing! I am so excited to announce that my book is now available! 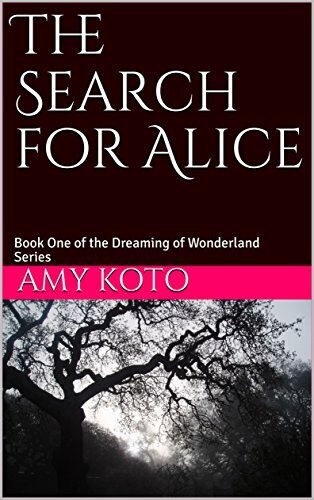 If you enjoy fairy-tale retellings, paranormal romance, horror, and mystery, then this might be the book for you or someone you know! Thank you for taking the time to check it out and I appreciate any feedback as well. I hope you enjoy!